The #NoEstimates hashtag has been very active on twitter, and many people in the Agile community are pitching in with their thoughts. But what is #NoEstimates about for the author of the first #NoEstimates book? What can we learn from Vasco’s journey that led him to find #NoEstimates? Join us for this active and passionate conversation between Gunther and Vasco. Gunther left consulting in 2013 to partner with Ken Schwaber, Scrum co-creator, at Scrum.org. He represented Ken and Scrum.org in Europe. 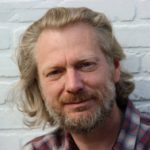 Gunther left Scrum.org in 2016 to continue his journey of Scrum as an independent Scrum Caretaker. Gunther believes that Scrum – the most applied software development framework – will not only increase the value that software delivers to organizations but is also a way to re-humanise the workplace for people. Gunther is co-creator to Agility Path and the Nexus framework for Scaled Professional Scrum. You can link with Gunther Verheyen on LinkedIn and connect with Gunther Verheyen on Twitter.